Ofsted inspectors have graded ELATT 'Outstanding' following a rigorous inspection in January 2015. 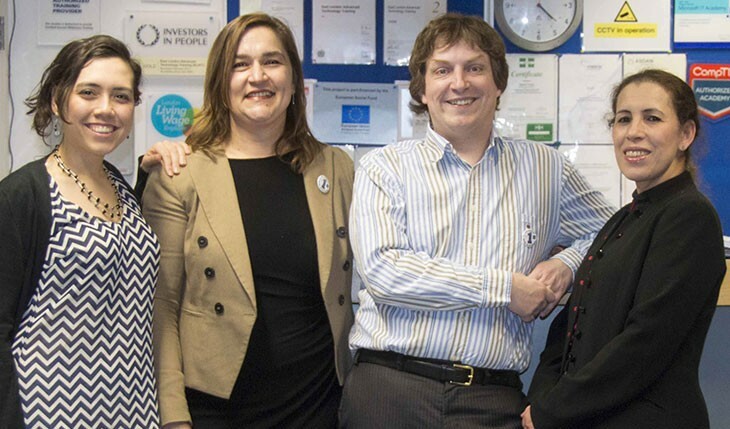 Staff were praised for outstanding leadership, the delivery of innovative training and personal development programmes and for being dedicated to fulfilling the educational needs of unemployed and disadvantaged people. ELATT achieved outstanding grades across all the main criteria, which included outcomes for learners, the quality of teaching, learning and assessment, and the effectiveness of leadership and management. Ofsted inspectors said that success rates are very high, and that "a very high proportion of learners progress into employment or appropriate further learning following their time at ELATT." This is mainly attributed to the quality of the teaching which was noted as "lively but professional," and the motivation and confidence of the learners in ELATT's positive and supportive environment. Inspectors commented on the "excellent personal support from teachers, specialist staff and fellow learners, which all help to increase learners' self­esteem, as well as instilling in them a desire to succeed in training and improve their personal circumstances." Anthony Harmer, Chief Executive of ELATT said: "Our outstanding result reflects the efforts and commitment of our staff and governors who work tirelessly to give people the support, knowledge and ability to find new opportunities for establishing brighter futures. This is a fantastic achievement and we are delighted to be officially recognised as being an outstanding education provider. Our staff have a consistent dedication to the success of our learners, and our programmes are tailored to meet the educational needs of people from all walks of life. Inspectors applauded our imaginative and effective programmes and initiatives. We will continue to sustain our inspirational teaching and strive for even higher standards by maximising our affiliations with employers, other charities and voluntary organisations. I am extremely proud of everyone that has contributed to this significant achievement." ● "The quality of teaching, learning and assessment is outstanding." ● "ELATT leaders provide innovative training and personal development programmes which are carefully aligned with local employment opportunities." ● "Lessons are not only extremely effective in improving learners' knowledge and skills but are also filled with humour and laughter." ● "Lively, but professional, classroom sessions and support outside the classroom have been key factors in ensuring that a very high proportion of learners gain their intended qualification." ● "A sensitive style of individual teaching ensures that learners are comfortable about asking for assistance." ● "Teachers ensure that lessons support equality with the personalised approach that enables learners to progress whatever their circumstances." ● "Personal support outside lessons is very good. Specialist staff provide good initial advice on such things as the relevance of courses. They then use the excellent links they have with a wide range of external agencies to support learners with, for example, financial and debt problems, immigration issues or homelessness." ● "Teachers plan and prepare for lessons very well and this allows them to cater very effectively for learners who come from a wide range of backgrounds with differing levels of experience." ● There is "very good support from trustees and full commitment from a remarkably dedicated staff, which ensures that ELATT's aims of helping the disadvantaged are fulfilled." ● "ELATT's leaders, managers and staff are exceptionally clearly focused on their aims of helping unemployed and disadvantaged learners improve their lives and gain employment."